"What? 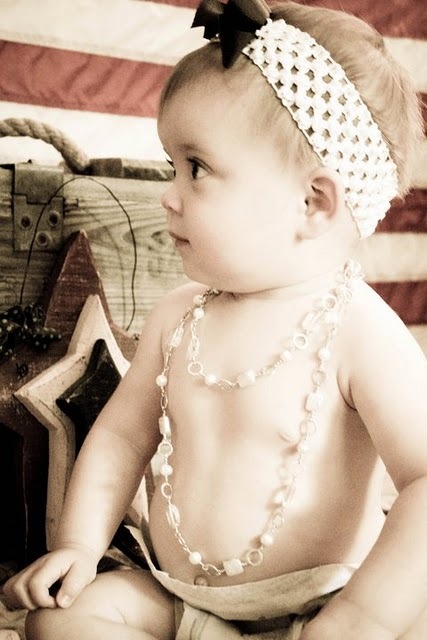 You like my PEARLS you say? 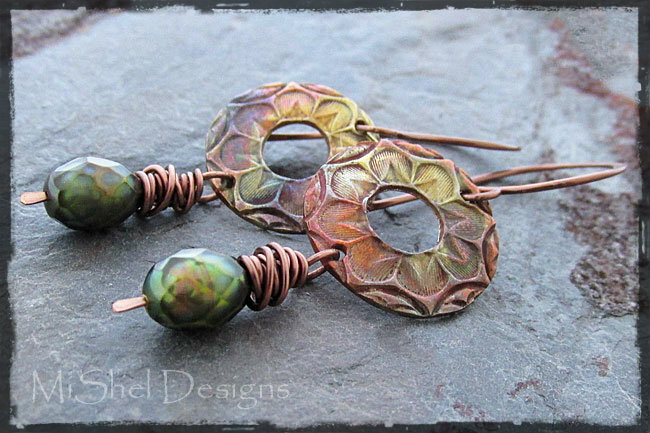 Why, they're MiShel Designs, of course!" 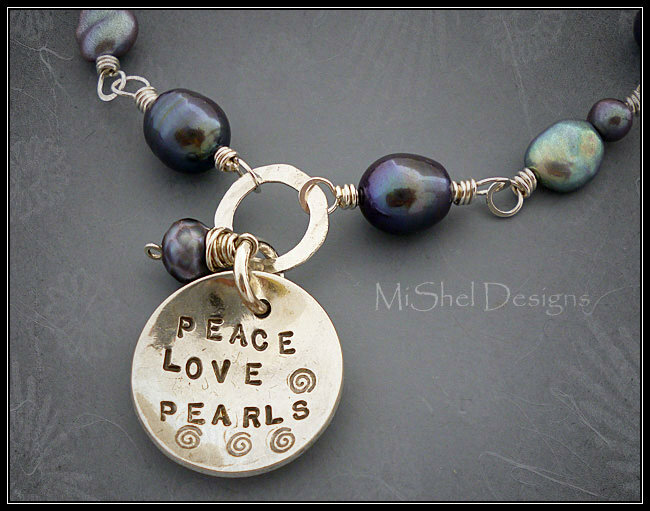 I love pearls. I mean I REALLY love them! Click Here for the above Quote Blog Post! 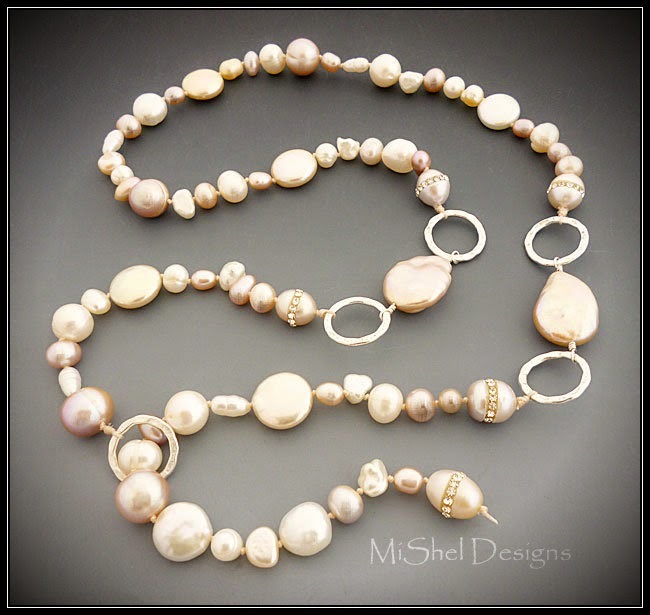 I’ve loved pearls since I was a little girl and quite frankly, "I don't think there's a pearl I've met that I haven't fallen in love with!" I'm a CPAA Certificed Pearl Specialist and I earned my Pearls Diploma from the Gemological Institute of America (GIA) back in 2006. 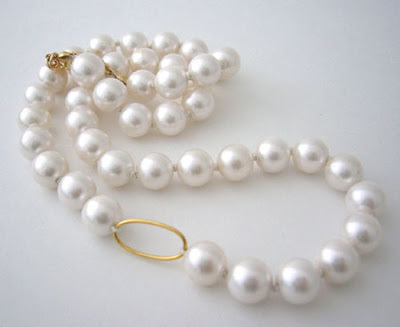 There are two types of pearls - Real pearls and Imitation pearls. 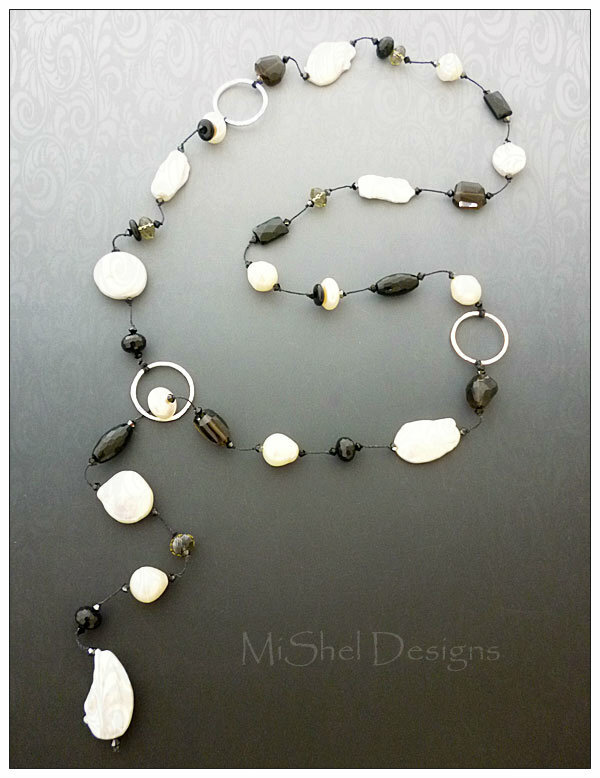 Breaking this down, there are two types of Real Pearls: Natural Pearls and Cultured Pearls. 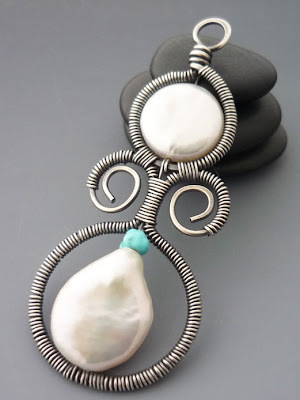 Cultural pearls are: a pearl formed as the result of human intervention in the formation process. (pearls formed when humans have intervened and 'helped' the natural process along). 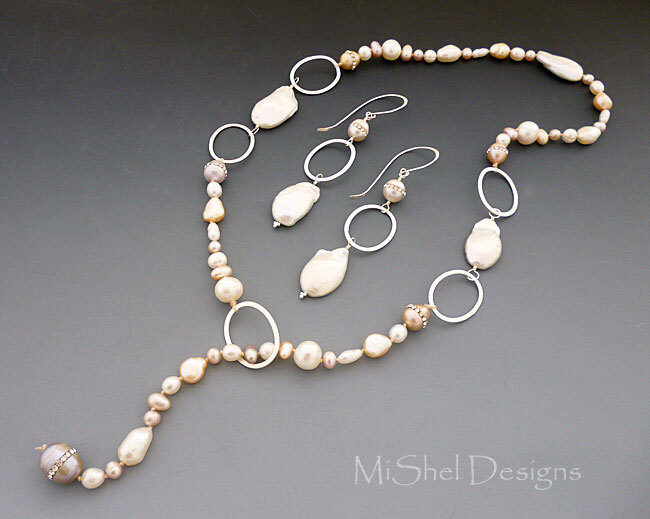 Under Cultured Pearls there are two types: Freshwater Cultured Pearls and Saltwater Cultured Pearls. 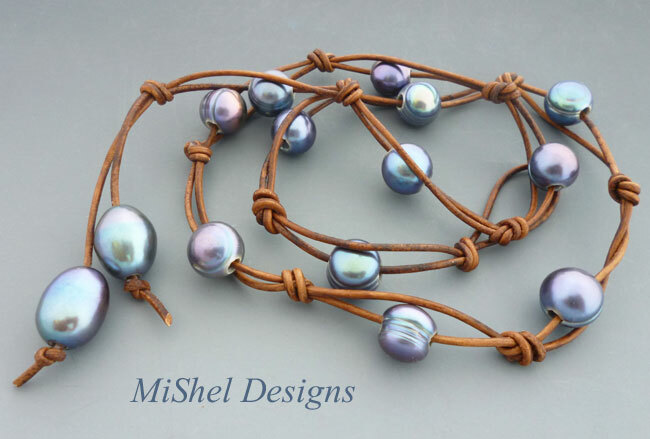 Freshwater Cultured Pearls are cultured in bodies of freshwater such as lakes, etc. 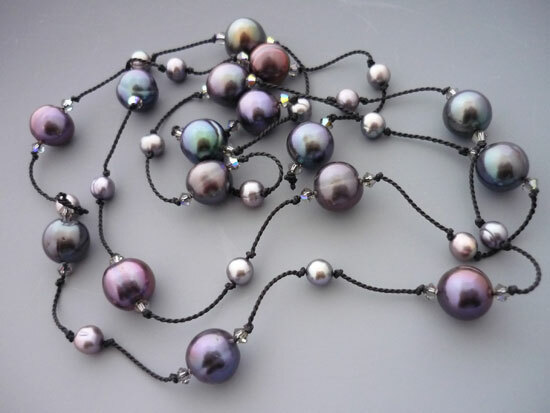 Under Saltwater Cultured Pearls there are three main (most common) types, including akoya, Tahitian and South Sea, and these are cultured in bodies of saltwater. 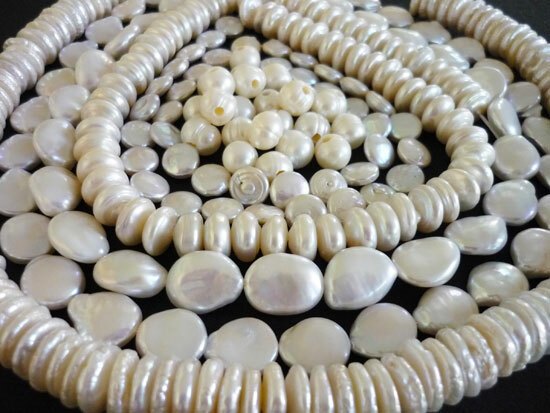 Natural pearls are extremely rare in this day and age and therefore quite expensive, especially compared to their cultured pearl counterparts. 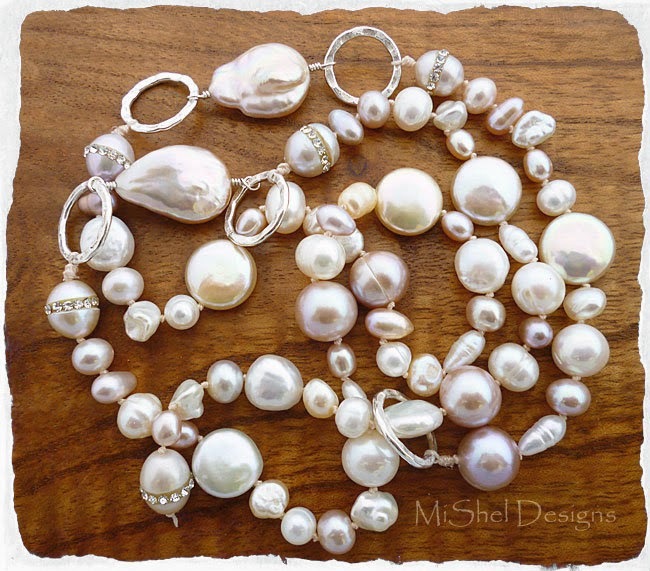 I'd love to be able to hold an entire strand of Natural Pearls in my hands,....Yes, this is on my bucket list! As far as Imitation pearls go, there are tons of them. 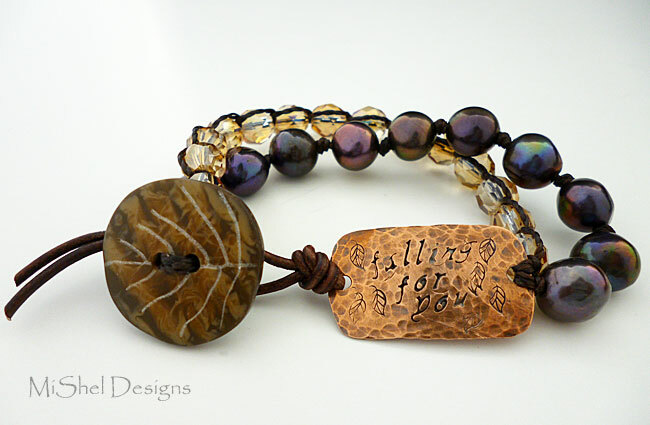 Anything such as Swarovski Crystal Pearls (awesome colors and cool shapes! ), to Resin or Plastic pearls, Majorica/Majorca Pearls, or any pearl that is neither a Natural or a Cultured Pearl is an Imitation. Many people refer to these pearls as 'faux' pearls. In the industry, we refer to them as imitation. 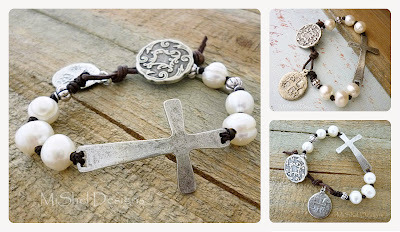 "Can I dip my pearls in a liver-of-sulfur solution along with my metal?" I like to hand knot Pearls or put them in designs with various metals, leathers, cords and other interesting materials. 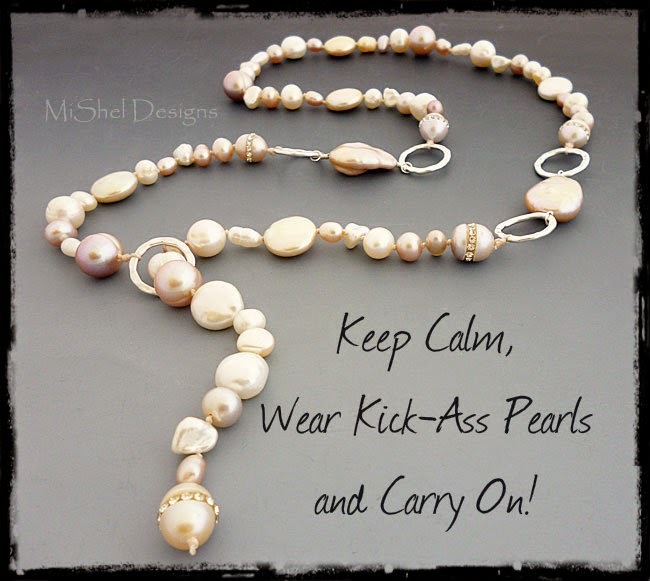 I wear pearls with everything and I believe pearls go with anyone, for any occasion, anytime, anyplace, any season, for any reason! Pearls are said to represent purity, faith, loyalty, truth, charity, innocence, spirituality and wisdom (to name a few things). 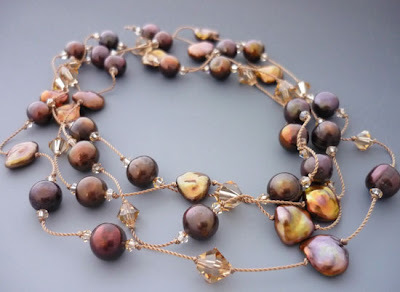 Below are links to some of the suppliers I use (wholesale, retail, online and in person) and are not only for my pearl shopping by for various other supplies and tools as well. I've also included some general information links and videos for such things as pearl history, education, and pearl farming along with some jewelry tutorials on pearl knotting, jewelry making and things of this nature. of the Pearl (and Jewelry Crafting) World!